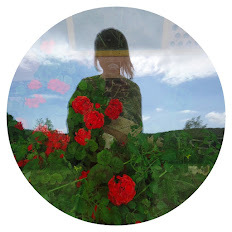 Last Wednesday was the gloomiest, chilliest day of May's half-term holiday but that didn't stop us wrapping up warm and going for a walk along the banks of River Adur with good friends and their adorable schnauzer puppy. 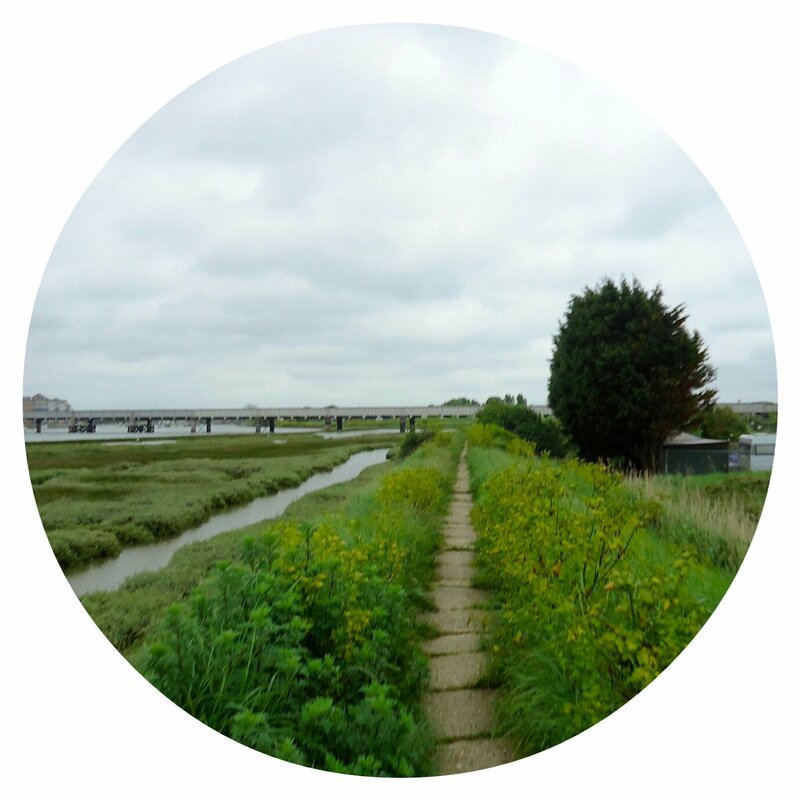 We sipped take-away coffee and ate pastries bought at Shoreham's Real Patisserie while our children romped, climbed and swung in a windswept playground overlooking the river. 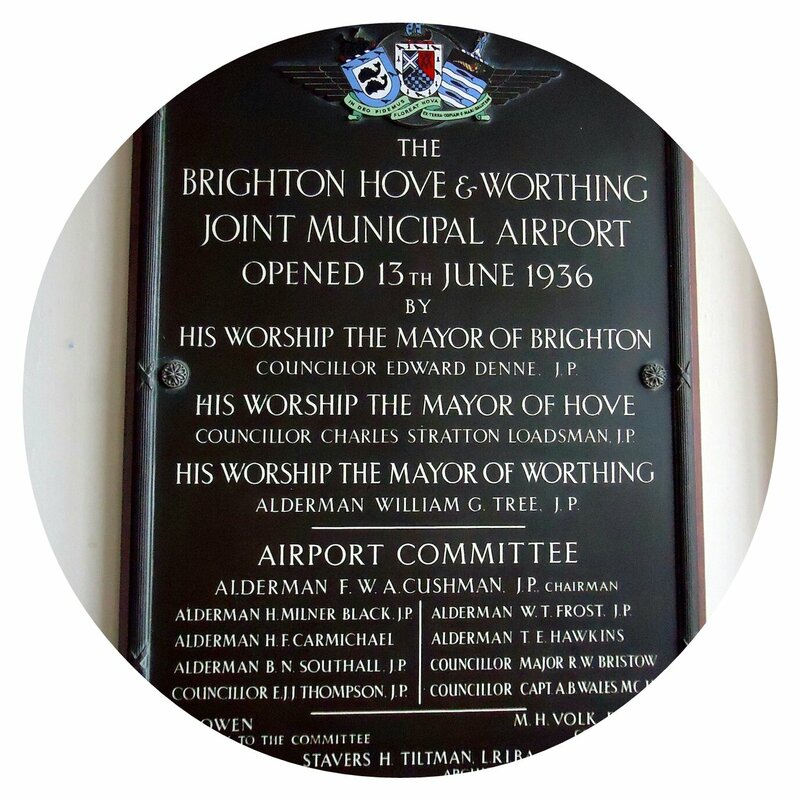 Our walk took us under the steel railway bridge to Shoreham's Art Deco Airport – once known as Brighton Hove & Worthing Joint Municipal Airport and recently renamed Brighton City Airport. 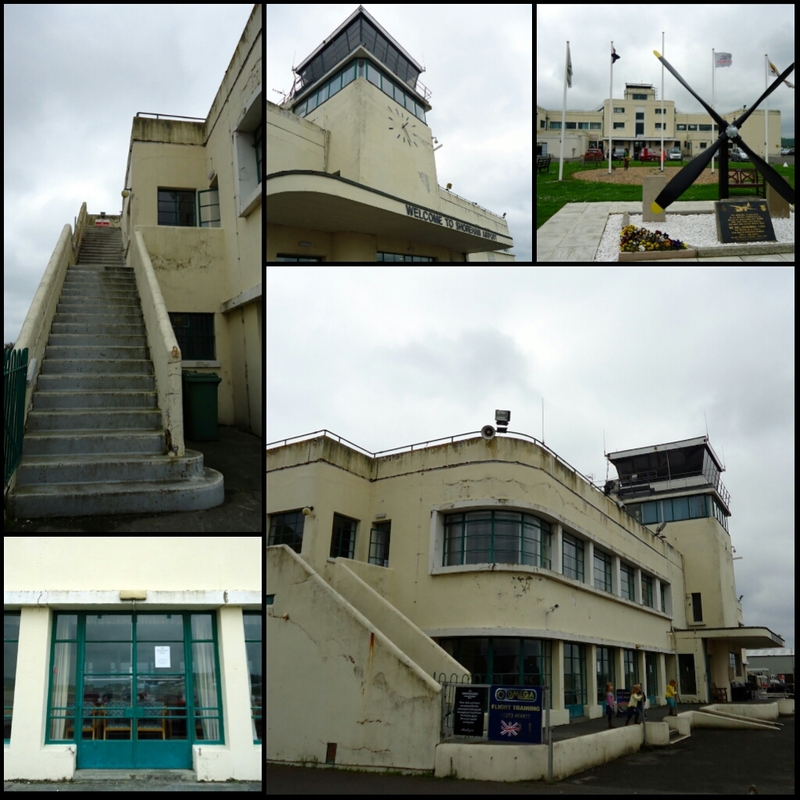 The Grade II listed terminal building has expanded into a huge (dog friendly) restaurant inside while the outside is held up by scaffolding with rusting walls of peeling paint. It has noticeably deteriorated since I last visited a few years ago and this splendid building is crying out for some love and care. 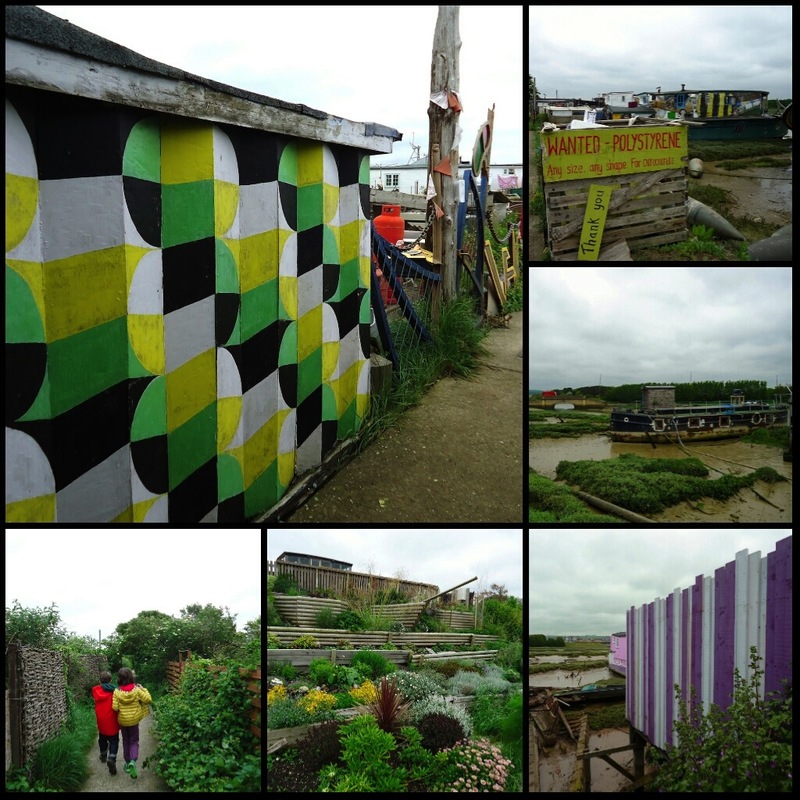 It seemed too windy for any planes to take off so we continued our walk through a boggy field and alongside the colourful houseboats on Shoreham Beach, taking in another playground before walking back across Adur Ferry Bridge.